by-law: (noun) a rule made by a company or society to control the action of its members. Article: (noun) a separate clause or paragraph of a legal document or agreement, typically one outlining a single rule or regulation. Section 1. This Subordinate Branch shall be known as Seattle Branch No. 79 of the National Association of Letter Carriers of the United States of America. Section 2. The objects of this Branch are to unite all employees who are eligible for membership under Article 2, Section 2, of the National Constitution, into one harmonious body for their mutual benefit and to assist the National Association of Letter Carriers in its efforts to improve the condition of it’s entire membership. Section 1. The application for membership must be in writing, signed by applicant, stating date of birth, place of residence and such other information as may be determined by this Branch. (a) A form 1187 (Dues Check Off Provision) must be signed by all applicants seeking membership in the Branch and the N.A.L.C. (b) A form 1189 (Dues Check Off Provision) must be signed by all retiring members within the N.A.L.C. who wish to retain their membership. Section 2. There shall be two types of membership. (a) Regular Branch members who shall be non-supervisory employees in the Postal Service and retirees from that service. (b) Associated members shall be those members who have left the Postal Service, or have been temporarily or permanently promoted to supervisory status. These Associated Members may retain their membership but shall be members only for the purpose of membership in the N.A.L.C. Life Insurance Plan, and/or the N.A.L.C. Health Benefit Plan. These members shall have no voice or vote in any of the affairs of this Branch, except they shall have voice and vote upon those matters appertaining to the N.A.L.C. Life Insurance Plan, and/or the N.A.L.C. Health Benefit Plan, if they are a member thereof, and on any proposition to raise dues. These members are not eligible to be candidates for any Branch office or Delegates to any Convention. These members may only attend that part of the meeting which concerns them, such as change of dues structure and information concerning Health and/or Life Insurance. Section 1. Regular meetings of the Branch shall be held on the second Wednesday of every month at 7:00 p.m., except when legal holidays and conventions interfere with such meeting, the regular meeting shall be held on the first Wednesday of the month. When both dates are interfered with by legal holidays or conventions, the date of the meeting shall be decided by a majority vote at a previous meeting. Section 2. Twenty-five (25) members shall constitute a quorum for the transaction of business but less than that number may adjourn to meet at a future specified time provided notice of such action is immediately posted on all official bulletin boards for the information of the members. Section 3. Special meetings shall be called by the President upon written request of two hundred and fifty (250) members in good standing or by vote of the Branch and notification of such meetings, stating the object of the call, shall be given the members by the Secretary-Treasurer; be it provided that the President shall call said special meeting not less than five days or more than fifteen days after the petition has been filed with and receipted for by him/her. Section 1. The elective officers of this Branch shall be a President, Vice-President, Secretary-Treasurer, Assistant Secretary-Treasurer, Sergeant-at-Arms, Director of Insurance, Editor, Director of Retirees, and a Board of Trustees composed of three members. Section 2. The officers shall be elected biennially and hold office for two (2) years or until their successors are duly elected and qualified. Section 1. Any regular member in good standing may nominate any eligible member by signing an officially prescribed form and presenting such form, accompanied by a signed acceptance form, to the Committee on Nominations prior to the close of the regular October Branch meeting. Section 2. No person shall be nominated for any office or position without the candidate’s written acceptance on officially prescribed forms no later than the adjournment of the October meeting. All candidates for election must be able to establish eligibility to the office or position to which nominated at the time of the nomination. Section 3. All regular members shall be eligible to hold any office or position in the Branch, except that a member who applies for or accepts a supervisory position in the Postal Service for any period of time, whether one (1) day or fraction thereof, either detailed, acting, probationary or permanently, shall immediately vacate any office held, and shall be ineligible to run for any office or other position for a period of two (2) years after termination of such supervisory status. Upon nomination, the candidate must certify that he/she has not served in a supervisory capacity for the 24 months prior to the nomination. Section 4. All regular members shall be entitled to one vote for each office or position to be filled. Section 5. The Election Committee shall cause the Ballots to be printed following the close of nominations, as provided in the preceding Sections of this Article, showing the names of all qualified candidates for their various offices. All names appearing on the ballot shall be arranged under the caption of the office for which the candidate is running in random order, as determined by lot drawn by the Nominations Committee at the close of the October Branch meeting. The voting shall be held by secret mail ballot. Section 6. In the election of all Branch officers and in all Delegate elections, a ballot will be mailed to all regular members with a prepaid, preaddressed envelope. All mailed ballots must be in the hands of the Election Committee not later than three (3) days prior to the December Branch meeting. Upon receipt of the mail ballots, the Election Committee shall meet and tabulate the results, which shall be announced at the December meeting. Section 7. The Election Committee shall open and tabulate all mail ballots prior to the December Branch meeting at a place and time specified by the President. Every ballot shall be tabulated by at least two election committee members. An observer of the candidate’s choice shall be present at the candidate’s request. All ballots shall be preserved by the Trustees for at least one year in a sealed container which has been signed by the President and the Secretary-Treasurer and having the official seal of the Branch. Section 8. Delegates and Alternates shall be elected to State Conventions annually and National Conventions biennially. Those receiving the highest number of votes (the number of Delegates to be determined by the State By-Laws and the National Constitution) shall be declared elected. Section 9. (a) No Delegate to a National or State Convention shall receive compensation or expense money from the Branch who has not attended at least eight (8) meetings of the twelve (12) regular meetings directly preceding the election. For the purpose of obtaining this record, the signature on the register book maintained each meeting night by the Sergeant-At-Arms shall constitute the official record. No Delegate to a Convention shall receive expense money who does not attend all Delegate meetings prior to and at the Convention unless on Branch business or excused by the Chair of the Delegation with the approval of the Delegation at said meeting and he/she shall be in attendance when roll is called or within ten (10) minutes thereafter. Section 9. (b) Any elected paid Delegate attending a National or State convention shall turn in evidence of attending such convention, which shall include dates, location, and business purpose, within thirty (30) days of end of said Convention. Failure to return such evidence shall cause forfeiture of eligibility to receive compensation or expense money to any subsequent Convention for a period of twenty-five (25) calendar months. Section 10. By their election to office, the President and Secretary-Treasurer shall be Delegates to the Washington State Labor Council, AFL-CIO Convention. Other Delegates, to the full allowable complement, may be elected or appointed. Delegates shall be entitled to reimbursement of all itemized expenses legitimately incurred. Actual mileage will be paid at a rate determined by the Internal Revenue Service. Section 11. Any candidate may request a recount of the ballots, for the office for which he/she is contesting. Such request must be made prior to the adjournment of the meeting at which the election is held. Such recount must be completed and the election consummated before adjournment of the meeting. Ballots shall be in the hands of the Election Committee until the election is declared official. Section 12. When there are two or more candidates for any office, the election shall be by secret ballot and the plurality of all votes cast for such office, excluding blank ballots, shall be necessary to elect. When there is but one candidate, the President may declare the election by consent. In any Delegate election resulting in a tie vote, the tie shall be decided by lot, on the Branch floor when the results are announced. Section 1 (a) The President shall be a full time employee of Branch 79, he/she shall visit stations and be available to the organization and its members for official purposes during a regular forty (40) hour week and evenings as needed. He/she shall preside at all meetings of the Branch, preserve order, countersign all checks and vouchers and all other papers ordered by the Branch, have general supervisory powers over the Branch, see that officers perform their duties, enforce the Constitution, By-Laws and Regulations of the Branch, appoint all committees not otherwise provided for, give the deciding vote when a tie occurs, examine and announce or cause to be announced, the results of all balloting and other votes. He/she shall not make or second any motion or take part in any debate while in the chair. Before adjournment of the Branch meeting, he/she shall ascertain from the Secretary-Treasurer a membership report from the previous month. At the end of his/her term, he/she shall make a report showing the progress and condition of the Branch. He/She shall, together with the Secretary-Treasurer, sign and file with the Secretary of Labor on behalf of the Branch, an annual financial report if required by public law. 1. Annual leave earned at a rate of twenty-six days per year. Annual leave in excess of fifty-five days (440 hours) at year’s end will be forfeited. 2. Payment by Branch 79 of the employer’s share of Civil Service or Federal Employees Retirement System premiums, Social Security retirement premiums, health benefits premiums, life insurance premiums, Thrift Savings Plan contributions and Worker’s Compensation. Effective with 2009 term of office, a full time officer under CSRS shall be reimbursed an amount equivalent to 25% of the portion of Social Security retirement (FICA and Medicare) premiums deducted from their pay. In addition, for full time officers under CSRS with less than 40 quarters of employment creditable toward Social Security retirement benefits, Branch 79 shall maintain in escrow by quarterly adjustment an amount equivalent to 75% of the officer’s portion of such retirement premiums. If the officer leaves Branch employment with less than 40 quarters the amount held in escrow shall be paid to them as a lump sum and such sum shall be treated as a wage for tax and accounting purposes. If the officer reaches 40 quarters while in office such escrow shall cease and all funds revert to the Branch. 3. The cost of the difference between a personal and commercial rate automobile liability insurance policy. 4. All holidays granted to Letter Carriers. 5. Sick Leave earned at a rate of thirteen days per year. Sick Leave (earned and unused) accumulates without limitation. An amount equivalent to the unused sick leave hours shall be maintained in an individual sick leave account by quarterly adjustment to protect the vested interest of the officer and limit the liability of the Branch. Sick leave used in excess of that credited during each pay period will be withdrawn to meet payroll obligations. Upon leaving the Branch’s employ, the individual sick leave account will be converted to a privately administered annuity plan, less any wage deduction as required by law, ending all Branch liability of any accumulated sick leave, and such conversion shall be treated as a wage for tax and accounting purposes. Section 2 (a) The Vice-President shall be a full-time employee of Branch 79. He/she shall be available to the organization and its members for official purposes during a regular forty (40) forty-hour week and evenings as needed. The Vice-President shall carry out all duties assigned by the President. He/she shall preside in the absence of the President and in case of death, resignation, disqualification, refusal or neglect of the President to discharge the duties of his/her office; the Vice-President shall then perform all duties incumbent upon the President for the remainder of the term of office. While service in the capacity of President, he/she shall receive salary equal to the President, plus actual expenses incurred as well as actual mileage at a rate set by the Internal Revenue Service. 1. Annual leave earned at the rate of twenty-six days per year. Annual leave in excess of fifty-five days (440 hours) at years end will be forfeited. An amount equivalent to the unused sick leave hours shall be maintained in an individual sick leave account by quarterly adjustment to protect the vested interest of the officer and limit the liability of the Branch. Sick leave used in excess of that credited each pay period will be withdrawn to meet payroll obligations. Section 3 (a) The Secretary-Treasurer shall be a full-time employee of Branch 79 and shall be available to the organization and its members for official purposes during a regular forty (40) hour week and evenings as needed. The Secretary-Treasurer shall be responsible that a correct record of the Branch be kept in a book designated for that purpose. He/she shall be responsible that an individual record of each member showing date of birth, date balloted on, address and next of kin be kept. He/she shall be responsible that applicants for membership are notified in writing of their election and members are notified of their suspension, expulsion or acceptance of resignation. He/she shall be responsible for reporting to the National Secretary immediately the suspension, expulsion or acceptance of resignation. He/she shall attend to all correspondence of the Branch, and properly mark and file all papers ready for inspection at any time, and see that members are notified of special meetings when ordered by the President. He/she shall perform all duties in regard to elections as provided for in Article V.
He/she shall make semi-annually, a report to the Branch showing the number of members elected, initiated, suspended, reinstated, withdrawn, and the number of deaths (giving the date of death), the receipts, benefits paid, amount expended and the amount on hand. He/she shall order a Past President’s pin for presentation to the retiring President. The Secretary-Treasurer shall receive, receipt for and disburse all monies of this Branch, and keep a regular account and complete breakdown thereof. He/she shall pay all bills by check, countersigned by the President. He/she shall submit his/her books to the Trustees at the close of each month prior to each Branch meeting for examination. He/she shall assure that every officer, employee or other representative of the Branch who handles funds or other property shall be bonded therefor, to provide against loss, by reason of acts of fraud or dishonesty on his/her part directly or through connivance with others. Such bond shall be in the amount required by public law and shall be determined at the beginning of each fiscal year. The expense of such bond shall be paid by the Branch. He/she shall have charge of the seal of this Branch. He/she shall, together with the President, sign and file with the Secretary of Labor on behalf of the Branch an annual financial report if required by public law. Within one week after his/her term expires, or upon earlier termination thereof, he/she shall deliver to his/her successor all books and records together with all other property of the Branch in his/her possession. 2. Payment by Branch 79 of the employer’s share of Civil Service or Federal Employees Retirement System premiums, Social Security retirement premiums, health benefits premiums, life insurance premiums, Thrift Savings Plan contributions and Worker’s Compensation. Effective with 2009 term of office, a full-time officer under CSRS shall be reimbursed an amount equivalent to 25% of the portion of Social Security retirement (FICA and Medicare) premiums deducted from their pay. In addition, for full time officers under CSRS with less than 40 quarters of employment creditable toward Social Security retirement benefits, Branch 79 shall maintain in escrow by quarterly adjustment an amount equivalent to 75% of the officer’s portion of such retirement premiums. If the officer leaves Branch employment with less than 40 quarters the amount held in escrow shall be paid to them as a lump sum and such sum shall be treated as a wage for tax and accounting purposes. If the officer reaches 40 quarters while in office such escrow shall cease and all funds revert to the Branch. An amount equivalent to the unused sick leave hours shall be maintained in an individual sick leave account by quarterly adjustment to protect the vested interest of the officer and limit the liability of the Branch. Sick leave used in excess of that credited during each pay period will be withdrawn to meet payroll obligations. Upon leaving the employ of the Branch, the individual sick leave account will be converted to a privately administered annuity plan, less any wage deduction as required by law, ending all Branch liability of accumulated sick leave, and such conversion shall be treated as a wage for tax and accounting purposes. Section 4. The Assistant Secretary-Treasurer shall serve as Secretary-Treasurer in the absence of the Secretary-Treasurer. He/she shall be under the direct supervision of the Secretary-Treasurer and shall perform such duties as may be assigned by the Secretary-Treasurer or the President. In consideration of services rendered, he/she shall receive compensation as stated in Section 13 of this Article which shall not exclude payment of compensation or reimbursed expense while serving in the absence of the Secretary-Treasurer. Section 5. The Sergeant-at-Arms shall preserve order in the meetings under the instructions of the President. It shall be his/her duty to see that none but members are present at the meeting unless directed by the President or a vote of the Branch. He/she shall be responsible for appropriate preparations and/or presentation of colors. In consideration of services rendered, he/she shall receive compensation as stated in Section 13 of this Article. Section 6. The Director of Insurance shall be enrolled in the National Association of Letter Carriers Health Benefit Plan to be eligible for this office. The Director of Insurance shall perform such duties as the Constitution and the Laws of the National Association of Letter Carriers Health Benefit Plan require. He/she shall, whenever requested by the President and at the end of his/her term, make a report showing the activities of the office. At the end of his/her term, he/she shall deliver any records in his/her possession to his/her successor. In consideration of services rendered, he/she shall receive the compensation as stated in Section 12 of this Article. Section 7 (a) The Editor shall be responsible for the editing, publication and mailing of a monthly publication, The Seventy-Niner. In consideration of services rendered, he/she shall receive compensation as stated in Section 13 of this Article. Section 7 (b) The President may appoint an Assistant Editor, whose duties shall be to assist in the editing, publication and mailing of The Seventy-Niner. Section 8 The Director of Retirees shall be a retired member of Branch 79 (at the time he/she takes office) to be eligible for this office. The Director of Retirees shall coordinate activities of the retired members of Branch 79 under the supervision of the President. He/she shall be the legislative advocate and the Congressional Liaison for the retired members of Branch 79. Section 9 (a) The Trustees shall examine the condition of the books of the officers, compare the receipts and vouchers and records and see that they correspond with the collections and disbursements, and report the same at each Branch meeting. The Trustees shall be responsible for the performance of an annual audit by a certified public accountant. The Trustees shall make recommendations on bills, donations and claims for expenditures by presentation of an annual budget and as may become necessary, for expenditures not specifically provided for by the budget as adopted. The Trustees shall be responsible for the custody of all Branch property and shall perform such other duties as the Branch By-Laws may require of them. In consideration of services rendered, they shall each receive compensation as stated in Section 13 of this Article. Section 9 (b) The Board of Trustees is the legal corporate body of the Branch, subject to its By-Laws and the laws of the State. The Board of Trustees shall be known as the Trustees of Seattle Branch 79 of the National Association of Letter Carriers. Section 10 (a) The Executive Council shall consist of the President, Vice-President, Secretary-Treasurer, Assistant Secretary-Treasurer, Sergeant-at-Arms, Director of Insurance, Editor, Director of Retirees, and the Board of Trustees. Section 10 (b) Meetings of the Executive Council shall be held at least once each quarter. The President shall act as Chair of the Executive Council. Meetings may be called by a majority of the members of the Council. 1. Supervise the activities, affairs and functioning of the Branch. 2. Establish and order compliance with such rules, regulations and procedures consistent with these By-Laws and the Constitution of the National Association of Letter Carriers, as are required for the effective management of the affairs of this Branch. 3. Authorize and/or ratify the payment of salaries, wages, expenses, allowances and other disbursements which it deems necessary and appropriate to the purposes and functioning of this Branch. 4. Direct the investment of the funds of this Branch in only readily convertible securities. Section 11. The President shall appoint a Chaplain, whose duties shall be to open each Branch meeting with a prayer or other inspirational message, take part in the annual memorial service and such other duties as may be appropriate. Section 13. The President, Vice-President, and Secretary-Treasurer shall be paid bi-weekly. Section 14. In addition to the duties assigned to each officer, they shall perform such other duties as the Branch may, from time to time, direct. Section 1. All career employees shall be admitted upon signing Form 1187 (Dues Check Off). Section 2. For active regular and active associate members, each member shall pay monthly dues equal to two and one quarter (2.25) hours base pay for a NALC Grade 1, Step (F) Letter Carrier employed by the United States Postal Service. 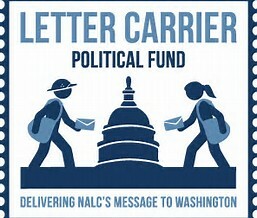 One third of the National Association’s minimum dues (two hours base pay for a NALC Grade 1, Step (D) Letter Carrier) shall be allocated to the National Union and shall be designated the “national per capita tax.” The remaining dues, less Washington State Association per capita tax shall be allocated to the Branch and designated as “Branch dues”. Monthly dues in the amount of ten dollars ($10.00) shall be required for those associated members who have left the Postal Service for reasons other than retirement or OWCP coverage and wish to retain their membership for fraternal and/or insurance purposes. Be it provided, however, that the dues for retired members shall be two dollars and fifty cents ($2.50) per month. All dues and fees are payable by dues check-off or are due and payable by the first day of the month in which they are due. Section 3. The payment of dues shall entitle each member to The Seventy-Niner, Seattle Branch 79’s official publication. Section 4. Any member failing to pay any fine, assessment, or monthly dues within 60 days after the same shall become due, shall forfeit his/her membership. He/she shall vacate any office held in the Branch, effective on the date of such forfeiture. He/she shall not be eligible for nomination or election to any office. Section 5. A former member, whose membership has been forfeited, may be reinstated by the payment of back fines, assessments and dues. Section 6. The rates of dues may be increased only by majority vote, by secret ballot, of the regular members in good standing, at a special or regular meeting after reasonable notice has been given that this question will be before the meeting. Section 1. Shop Stewards shall be elected at each carrier station/office during the month of November. Nominations shall be open from the 1st to the 10th of November. A list of nominees shall be posted on the Union bulletin board for five days. When there are two or more candidates for a Shop Steward position, the election shall be by ballot and the plurality of all votes cast shall be necessary to elect. The election shall be conducted by two members of Branch 79, who are not candidates, on any two successive working days the incumbent Shop Steward shall select between the 16th and 30th of November. If no election is held by the 30th of November, a Shop Steward may be appointed by the President of the Branch. Section 2. The term of office shall be for one year from January 1st through December 31st. Section 3. Each Shop Steward shall recommend an Alternate Shop Steward for certification by the Branch President. Section 4. The Shop Steward shall be the duly authorized representative of the Branch in his/her station and shall be responsible to the Branch for his/her official acts. The Shop Steward shall have charge of the Station Bulletin Board and shall preserve the same in a neat and orderly manner. Section 5. Shop Stewards, Alternate Shop Stewards, Chief Stewards, and Alternate Chief Stewards shall each receive an amount equal to two times the monthly dues for each Shop Steward meeting attended. The maximum that may be received for attending each Shop Steward meeting shall be no more than that equal to two times the monthly dues. Full time officers holding these positions shall not be compensated. A Steward or Alternate attending State or Regional steward training, as authorized by Branch 79, which prevents their attendance at a Shop Steward meeting shall also receive an amount equal to two times the monthly dues. Section 6. In the case of the death of a member, or a death in the immediate family of a member, it shall be the duty of the Shop Steward of the Station to promptly notify the President. (a) GOOD OF THE ORDER COMMITTEE to consist of not less than three (3) members, whose duties it shall be to arrange for and conduct entertainment, socials, receptions, etc., decided upon by the Branch. (b) A Chair of the RETIRED SICK COMMITTEE whose duties shall be to aid the sick retired members, keep a record thereof and report to the Branch Trustees. The chair shall receive the sum not to exceed ten dollars ($10.00) per month for committee expenses. (c) NOMINATION COMMITTEE to consist of not less than three (3) members whose duty it shall be to solicit and the receive petitions of nominations for all elections as provided in Article 5. (d) An ELECTION COMMITTEE of not fewer than five (5) members shall conduct and complete all elections. No member of the committee shall be a candidate for office. For services rendered, said committee members shall receive the sum of three-hundred dollars ($300.00) except the chair shall receive the sum of four hundred and fifty dollars ($450.00). Additional members may be appointed to assist only with the counting of the ballots. These members shall receive the sum of one-hundred and fifty dollars ($150.00). In the event that an appeal is made to the election under Section 21.1 of the NALC Regulations Governing Branch Elections, or a recount is conducted, each committee member shall receive an additional seventy-five ($75.00). The chair shall receive an additional one-hundred dollars ($100.00). (e) An EDUCATION COMMITTEE of not less than three members, whose duty shall be to furnish the membership such information for the good of the service as the Branch will from time to time direct. (f) A CONDOLENCE COMMITTEE of not less than three (3) members shall record the deaths of members and immediate relatives in The Seventy-Niner, and read the names of deceased members at the Branch meetings, for whom the Charter shall be draped. (g) A CORRESPONDENT whose duties shall be to furnish our National and State periodicals with Branch activities over the signature of the President and Secretary-Treasurer. (h) A LEGISLATIVE COMMITTEE of not fewer than five (5) members. Such committee shall work in conjunction with the National Association on such matters as may benefit the membership. The Committee shall report regularly on issues of legislative interest. (i) A SCHOLARSHIP COMMITTEE of not less than 3 (three) members, whose duties shall be to administer the Branch 79 scholarship program. The committee shall be responsible for administering the regulations, requirements, and eligibility criteria of the scholarship program, as well as determining the amount and number of scholarships offered. Changes to the Scholarship Program shall only be made by the Scholarship committee with approval of the Executive Council. Section 2. There shall be a SHOP STEWARD COUNCIL of this Branch which shall be composed of the elective officers, committee chairs and the Shop Stewards (and/or the Alternates), from each station. This Council shall take no action pledging or committing this Branch to any definite policy which is not in accord with the established policies of the Branch. Meetings of this Council shall be called upon the request of a majority of its members, or by the President. The President shall be chair of the Council and the other officers shall act in positions corresponding to those held by them in the Branch. Section 3. On the death of a member, the President may appoint a committee of three (3) members who shall act as FUNERAL COMMITTEE. When the family of a deceased Brother or Sister shall request that members of this Branch act as pallbearers, the necessary lost work time shall be paid by the Branch. In case of death of a member, or death in the immediate family, it shall be the duty of the Shop Steward of the Station, to promptly notify the President. Section 4. Final reports of committees shall be, in all cases, in writing and signed by a majority of the committee. Section 5. No committee may be authorized to expend funds of this Branch or bind the Branch to pay bills except when previously authorized by the Branch, except that a committee may spend, or bind the Branch to expend, a sum not to exceed one hundred, fifty dollars ($150.00) with the consent of the President and Secretary-Treasurer for organizational purposes. Section 1. Any member of the Branch who shall violate the Constitution or By-Laws of the Association or Branch may have charges preferred against him/her, and if such charges are proved, shall be fined, reprimanded, suspended or expelled as the laws may direct or the Branch determine. Any officer of the Branch who shall fail or neglect to discharge the duties of his/her office, or who may be guilty of gross misconduct, may be removed from office. These determinations shall be made by the members present and voting at the next regular Branch meeting after which said charges were read to the Branch. The vote regarding any of the above matters may be continued once, by motion, to the following regular Branch meeting. Section 2. Charges must be made in writing, specifying the offense, failure, neglect, or misconduct so as to fully apprise the member or officer of the nature thereof, and shall be signed by a member of the Branch; and a copy of said charges, under seal of the Branch, shall be served upon him/her. Said charges shall be read by the Secretary-Treasurer at the first regular meeting after service on the member or officer. Section 3. The President, or if the President be the person against whom charges are made, the Vice-President, shall then appoint a committee of three (3) disinterested members, who shall forthwith summon the parties, hear and take down or cause to be taken down or recorded, the testimony and/or documentary evidence presented. It shall be the duty of the committee to find the true facts and report to the Branch. The parties are entitled to be heard by the committee, to present evidence, and to cross-examine all witnesses who make statements to the committee, but rules of evidence and rules of judicial procedure need not be observed. The committee, after completing its fact finding duty, will present to the Branch a written report of the facts elicited, and immediately thereafter disband and be eligible to vote. The Branch shall then decide, by simple majority vote, the issue of whether or not the facts as found by the committee, sustain the charge. The charged party is entitled to defend himself/herself before the Branch immediately before the vote is taken. If the Branch decides that the facts sustain the charge, then the Branch shall entertain a motion to fix the penalty, if any be required. Section 4. Questions of expulsion or removal from office shall be by ballot, and require a two-thirds vote. If less than two-thirds of the ballots are for expulsion or removal from office, the Branch shall proceed to determine whether the punishment shall be suspension, fine or reprimand. A fine and the amount thereof must be approved by a two-thirds secret ballot vote. If suspension be determined upon, the Branch shall fix the term of suspension. If reprimand be determined upon, the President or Vice-President, if the President be the person against whom the charges were made, shall reprimand the accused in open meeting. Section 5. During the suspension for an offense, a member is not exempt from dues, and he/she shall be subject to all penalties of Article 7, Section 5, for the non-payment of the same. Section 6. Any member or officer suspended for any offense shall be reinstated on the removal of the cause and the payment of all demands against him/her, or at the expiration of the term for which he/she was suspended, without action of the Branch, and the President or Vice-President, as the case may be, shall declare in open meeting his/her reinstatement. This provision does not apply where the member is suspended pursuant to charges brought by the National Association of Letter Carriers by any officer or representative by authority of the President or Executive Council of the National Association. Section 7. An expelled member can be reinstated only after the manner of a new applicant. Section 8. Any National, State, or Branch officer or member of the Branch who, having first been charged under this Article with using or attempting to use the Branch, or any portion of it, or his/her influence therein, for political purposes, is determined by the Branch in accordance with the procedures prescribed in this Article to be guilty of the charge, shall be guilty of perfidy and shall suffer expulsion. Section 1. Any appeal may be taken to the President from the decision of any other officer of the Branch, and to the Branch from any decisions of the President, which appeal must be taken at the meeting at which the subject appealed is under consideration, and before any other business is taken up for action; and any member considering that an injustice has been done him/her by a decision of the Branch, may appeal in writing to the Committee on Appeals of the National Association. First: The appeal must be in writing and filed with the Secretary-Treasurer of the Branch, together with written testimony, arguments and briefs, within twenty (20) days from the date of the Branch meeting at which the decision to be appealed was made. Second: The Secretary-Treasurer shall submit, and read to the Branch at its next regular meeting following the receipt of the appeal, the notice of intention to appeal, the appeal and all written testimony, argument, briefs and evidence submitted by the appellant. Third: The Branch shall then be allowed twenty days to prepare its reply which shall be in writing with the seal of the Branch attached thereto. A copy of this reply shall be immediately transmitted by the Secretary-Treasurer to the appellant. The Secretary-Treasurer shall also immediately transmit the appeal, together with all testimony, arguments, briefs and evidence submitted by the appellant and the reply of the Branch thereto via registered mail, to the chair of the Committee on Appeals of the National Association. Either party to an appeal from a decision of the Branch to the Committee on Appeals of the National Association may, if dissatisfied with the decision, appeal to the National Convention of the National Association of Letter Carriers, in accordance with the procedure set out in Article XI, Section 4 of the National Constitution. Section 1. All funds of the Branch shall be deposited in such bank or savings institution as the Branch may determine. Section 2. All disbursements of funds by Branch 79 shall be paid by check. All checks drawn upon the funds of this Branch shall be signed by the Secretary-Treasurer and countersigned by the President or in their absence by their designees. Provided however, petty cash in the amount not to exceed seventy-five ($75.00) shall be allowed. Section 3. Branch 79 shall use an accountable plan for the payment of branch business expenses. Such expenses must be ordinary and necessary for the conducting of Branch 79 business. Branch 79 will only pay for valid deductible business expenses. For other than per diem expenses, expenses must be substantiated with documentation. Any payment amount in excess of actual business expenses must be returned within thirty (30) days after the end of said business expense. For per diem business expenses, Branch 79 shall utilize the Federal Per Diem Rate for meals and incidental expenses. Section 4. A separate fund shall be established to be known as the Branch 79 Scholarship Fund. The exclusive purpose of this fund is to finance Branch 79 scholarships. All scholarship donations shall be deposited into this fund. Section 1. The Branch is authorized, upon affirmative vote of the membership, to pay all the expenses for investigating services, employment of counsel and other necessary expenditures, in any cause, matter, case or cases, where an officer, representative, employee, agent or one charged with acting in behalf of the Branch and/or its affiliates is charged with any violation or violations of any law, or is sued in any civil actions with respect to any matter arising out of his/her official duties; except if such officer, representative, employee, or agent is charged with a breach of his/her trust to the Branch, or any subordinate body or member thereof. This provision does not apply to suits brought against the Branch, or any of its officers, representatives, and agents by the National Association. Section 1. These By-Laws shall not be suspended, but may be altered or amended by two-thirds of the members, present and voting, at any regular meeting, or at a special meeting called for that purpose, provided all proposed alterations or amendments be in writing, signed by five (5), or more members in good standing, and be presented to the By-Laws Committee of Branch 79 for study, 30 days before the first reading on the Branch floor. Action on the proposed change shall be taken at the next regular meeting, or special meeting called for that purpose, following the first reading. Section 2. A defeated amendment shall not be submitted in like form for six (6) months thereafter. Section 3. A complete and up to date copy of Branch 79 By-Laws shall be maintained in the files of the Secretary-Treasurer of Branch 79 and shall be copied and given to any Branch 79 member who requests one. Section 1. A vote by mail ballot on any measure acted upon by the Branch, other than a change in the By-Laws, may be demanded and shall be taken whenever the request is made by a petition signed by fifteen percent (15%) of the members in good standing of the Branch. Section 2. (a) The vote shall be called not less than twenty (20); nor more than forty (40) days after such petitions, signed by the required number of members, is delivered to the Secretary-Treasurer and receipted for by him/her. Section 2 (b) Such petitions shall, after being verified and filed, be printed in the current issue of The Seventy-Niner. Not more than two thousand (2,000) words shall be allowed for arguments pro and con, such space to be equally divided between the two sides of the question at issue. Such arguments shall be in the hands of the Editor of The Seventy-Niner on, or before, the first Thursday of the current month and The Seventy-Niner shall be published not later than five (5) days previous to the Branch meeting. Section 2. Branch 79 shall authorize a musical organization to be known as “THE LETTER CARRIERS BAND.” Branch 79 shall in no way be financially responsible for this organization. Branch 79 will donate the sum of one thousand dollars ($1,000.00) in January of each year to assist with the costs of operating the Band. The Band will account for moneys donated by the Branch in September of each year. Section 3. A complete and up-to-date copy of the By-Laws of these organizations shall be maintained in the files of the Secretary-Treasurer of Branch 79. In all matters of parliamentary procedure not covered by these By-Laws or the National Constitution for the Government of Subordinate Branches, Robert’s Rules of Order shall be the guide of this Branch. Section 1. No motion on any political endorsement by Branch 79 shall be acted upon by the Branch until the Legislative Committee researches all candidates for the subject position, or all sides of the subject initiative, referendum, or pending legislation. Any debate or action on a proposed endorsement shall be taken after the committee presents it’s findings at the next regular branch meeting following a properly made and seconded motion for endorsement. Notice of an endorsement vote shall be printed in the Seventy-Niner with a disclaimer that no endorsement is binding on any member. Section 2. Invitations to political speakers may only be made with the majority approval of the Executive Council, which shall be responsible for invitation of representatives of opposing positions or candidates. The chair may equitably limit the time of any invited political speakers. 1. President announces service. (Trumpet player stationed in outer hall). 2. President, Vice-President, Secretary-Treasurer and Chaplain shall advance from the four points of the cross to the altar. 3. President asks Vice-President purpose of the meeting. 5. President calls on Chaplain for prayer. 7. President (Speaking Part), then calls upon Secretary-Treasurer to call the roll. 8. Secretary-Treasurer (Speaking Part), roll call, assisted by Chaplain. 9. Chaplain places a carnation on altar for those departed Brothers and Sisters who have passed away since last Memorial Services. 10. Secretary-Treasurer asks Chaplain to offer closing prayer. 11. Chaplain offers closing prayer, after which s/he asks all to stand for a moment of silence in memory of our departed Brothers and Sisters. 13. President, Vice-President, Secretary-Treasurer and Chaplain right about face and return to the outer points of the cross. President: Brother/Sister Vice-President, will you tell us the purpose of this meeting? Vice-President: Friends, Brothers and Sisters, we are gathered here today to pay tribute to the memory of our Brothers and Sisters who have reached their last resting place, and in respect to those memories, pray to our great Creator and Protector to watch over those Brothers and Sisters in their everlasting life, and comfort the loved ones they have left behind. President: The Chaplain will lead us in prayer. President: Friends, Brothers and Sisters, on this solemn occasion we are mindful of our pledge of fraternalism. Our great Association has prospered only through the mutual bonds for each other. Those whom we honor here tonight have fought gallant fights, that we might reap the fruits of their labors. We miss their cheerful presence and their council in our deliberations. Their efforts will long be enshrined in our hearts. There is no death. It is simply a transition from the mortal to the immortal. We can see but dimly through the mist and vapors of this earthly life, yet we are certain that our Brothers and Sisters who have gone before us are enjoying this immortal life in the temple of the Almighty. May we be endowed with a spirit of liberality and our hearts filled with fraternal kindness so that we meet our obligations to each other in a manner symbolic to their memories. President: Brother/Sister Secretary-Treasurer, will you read from the roll of our departed Brothers and Sisters, the names of those who have passed on during the last year? Secretary-Treasurer: (Reads roll.) The Chaplain will lead us in prayer. (Followed by a moment of silence, during which “Taps” are sounded).